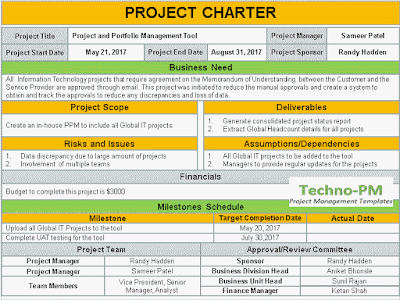 What is a Project Charter? 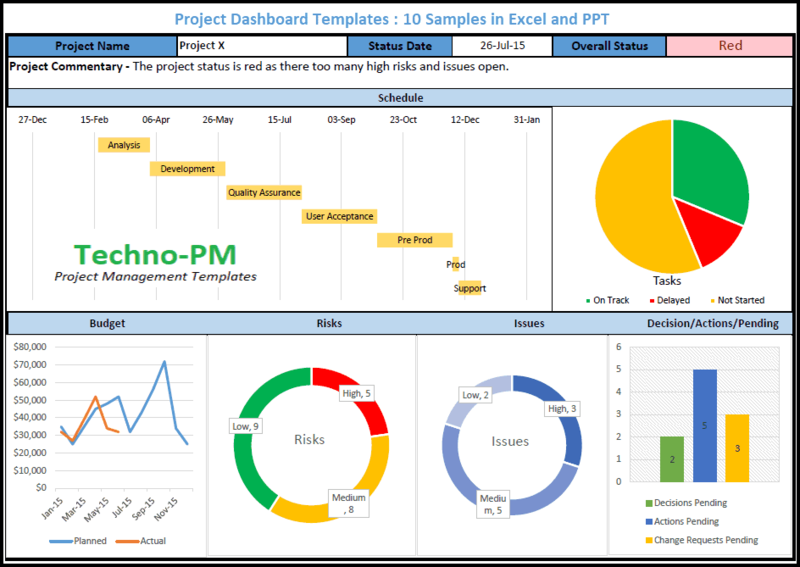 A Project Charter is a must-have in any project, as prescribed by the PMBOK® Guide and other methods. It is a document that summarizes the key information about a project and that announces to the world, aka, your organization, that there is a new project on the block. The Charter appoints a project manager for the project and assigns it the authority to proceed. The inception of every project is a Project Charter. In the Initiation phase, the Project Charter is issued by the project sponsor and it defines the existence of the project. 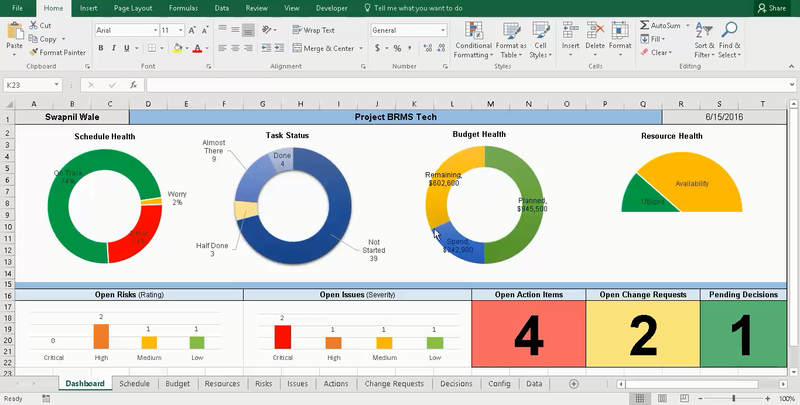 It captures high-level project planning details like business need, scope, milestones, dependencies, risks, and required resources. The Charter is an important document which gives the project manager the authority to commence the project and acquire the required resources to support the project activities. In some cases, the project charter is signed off by the Project Sponsor, while in some others there may be a group of approvers (all stakeholders) who need to sign off for the document to be considered approved. Once approved by the defined approvers, it cannot be changed or modified unless agreed by all the parties involved. 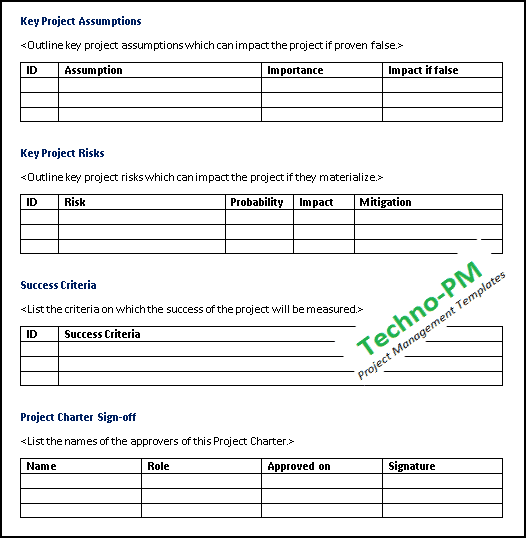 This Project Charter Template/document helps to identify the major stakeholders of the project and sets clear expectations on the project goals and is used as a reference document throughout the project. 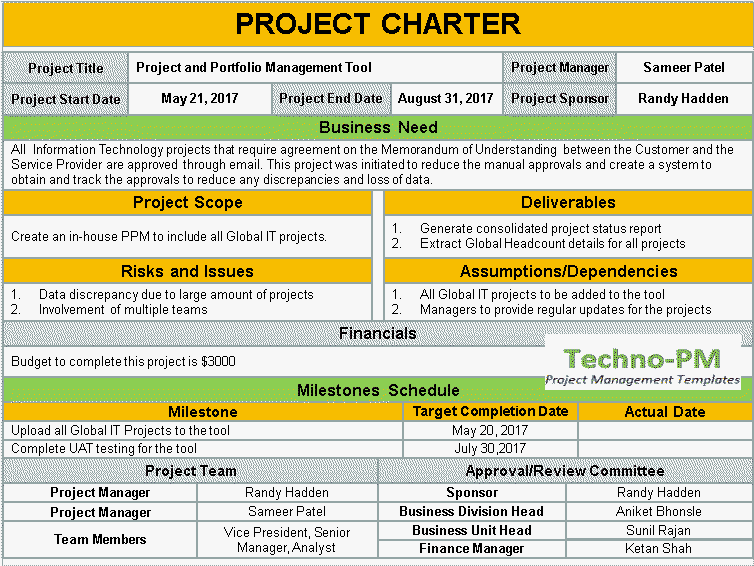 Why do we need a Project Charter? What should a good project charter contain? 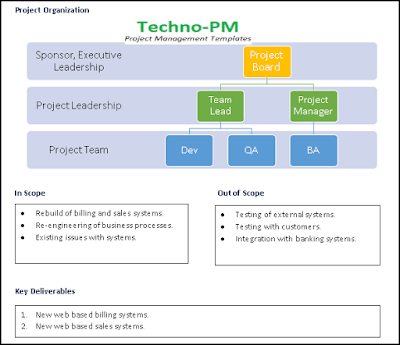 While most project management methods and frameworks prescribe the use of a project charter of some sort – either called one-pager, charter, or mandate -, there is no defined composition for its template. However, a principle to consider is that any good Project Charter will help you clarify the What, Why, Who, When and at What Cost of the project. What is the main driver for this project to exist? What is the context from which it was born? 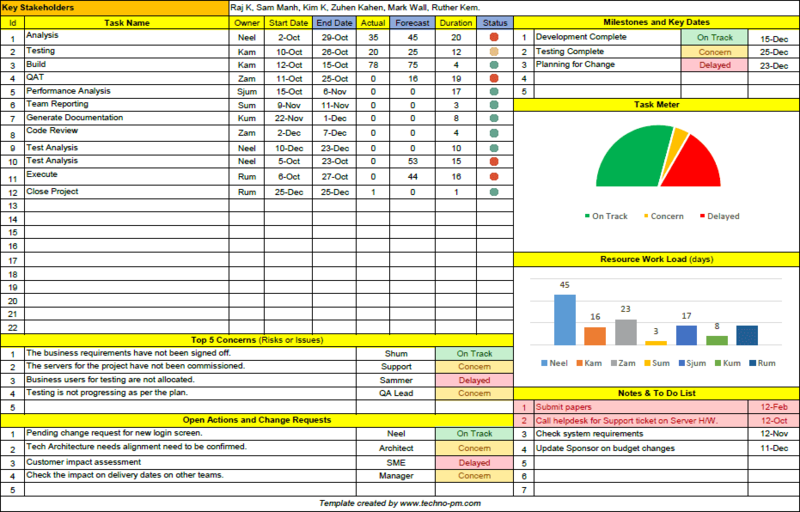 To make your life easier, I’ve produced a simple project charter template that you can download here. Ready to use! Keep it brief: Trust me, the more pages a document contains, the less chance it will get read. Try to keep your Project Charter simple and brief. After all, it should capture key, high-level information! Be explicit: No one cares or is enthusiastic about a vague summary of a project. Get to the point as early as possible and make it explicit. Build it with your sponsor: While theory advises that the Charter should be handed over by the project sponsor to the project manager, in reality, it is often the project manager to writes the Project Charter with the support of the Sponsor. Whatever the model, the involvement of the sponsor is fundamental. Get it signed-off: Until you get the Charter to be signed-off by your sponsor, the project is not formally authorized. No Charter, no project. Share it: One of the main benefits of a Charter is that you can gain support from the project and ensure that there is a shared understanding of what the project is about. Be proud to share your Charter with your team and key stakeholders! Project Start and End Date: This field specifies the timeline to complete the project. Project Manager: This field indicates the project manager who has the authority to execute the project. Business Need: This field captures the need for initiating the project. It helps to understand and specify WHY the project is being undertaken. 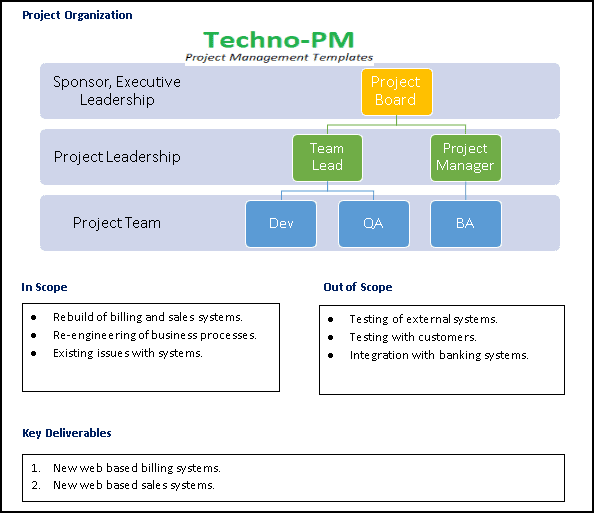 Project Scope: This field defines activities that are in the scope of the project. Items that are out of scope can also be mentioned in this field to set clear expectations. Deliverables: Every project undertaken will result in a tangible or intangible outcome. This field indicates the deliverable/goals that are expected to be achieved by this project. Milestones Schedule: This field indicates the major milestones the project aims to accomplish and the target completion date for each milestone. The charter can be used to track the progress of the milestones against the target dates mentioned in the document. Approval Committee: Every project charter needs to be approved by a defined set of approvers which includes the sponsor and other stakeholders. A project charter is considered approved once signed off by all the approvers. 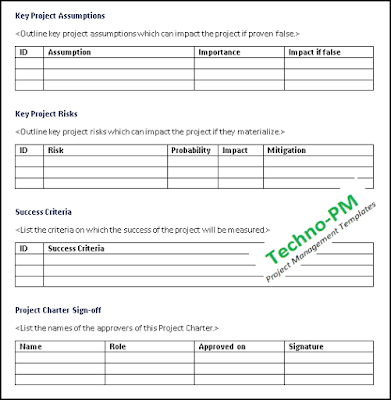 To summarize, as per the Project Management guidelines, the project charter template PPT is a document that formally authorizes a project giving the project manager the authority to execute the project and obtain the required resources. This is a point in time document signed by all stakeholders and can be used as a baseline for any future changes on the project. The Project Charter is the key document in the Initiation phase of a project and is the first opportunity that the project manager has to build the right foundations for the project. Grab the chance to cause a great first impression with a great Project Charter!